Saturday, September 29 is National Coffee Day and what better way to celebrate than with some delicious coffee from Dunkin' Donuts? 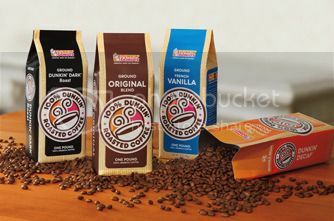 All weekend long (9/29/12 & 9/30/12) Dunkin' Donuts is offering guests one-pound bags of coffee for $5.99 (limit two per person). Not only is it a good time to pick up some coffee for yourself, but also pick up some holiday gifts. I personally think that DD coffee makes a great gift, especially for co-workers or teachers. I myself usually put at least one bag in my husband's stocking every Christmas. It is also a great time to download the new Dunkin' Mobile app for iPhone or Android. You can load your gift cards onto the app and use it to quickly pay for your purchase at restaurants throughout the U.S. I tend to play on my iPhone while on line (I am a social media addict) and with this I can quickly switch from my Facebook App to the Dunkin' App, pay, grab my coffee and munchkins for the kids and be on my way. You can also use the app to locate a restaurant near you, send an mGift (mobile gift card) to a friend and even check out the Dunkin' Donuts menu. 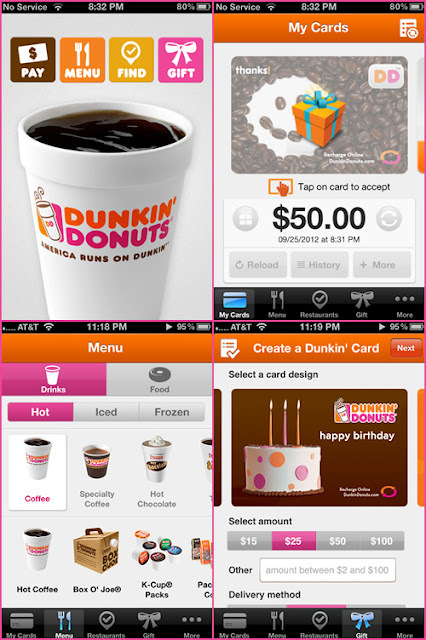 Download the Dunkin' App for your iPhone or Android phone. Two (2) lucky winners will each receive a $50 Dunkin' Donuts mobile gift card. Please note that the mobile gift card and may only be used with the Dunkin' Mobile App, Therefor you must install the app to your iOS or Android mobile device in order to use the gift card. Giveaway is open to US residents only and closes on October 13 at 12:01 Am EST. Please use the Rafflecopter form below. Good luck! This giveaway is open to legal residents in US only, 18+ only and will end on October 13, 2012 at 12:01am EST. Winner will be chosen at random using Rafflecopter and will be announced in the widget. 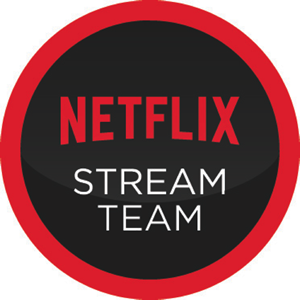 Winner has 24 hours to claim his/her prize otherwise a new winner will be picked. Please allow 6-8 weeks for delivery. Prize fulfillment is the responsibility of the sponsoring company. This blog and its author are not responsible for giveaway prizes that are lost in transit or damaged. This blog is also not responsible if a sponsor/company does not send prize(s). Naturally, I will communicate with said company(s) several times, and make every effort to resolve the issue. Good luck! I love the Boston Creme donuts. I love their Maple Glazed Donuts and they have the best coffee around. I'm such a child. I like the Dunkin munchkins! Me too! I am also a sucker for the donuts with vanilla icing on top. Toss me a crossaint (I know I spelled it wrong!) any day! They are one of the few egg free thigns on the menu. My kids love the munchkins. I like blueberry cake donuts. My all time favorite is iced mocha latte. My fave is the Bavarian donut....but right now it's the apple spice orchard donut or pumpkin - but those are limited time items! Oh I have never had the apple spice donut. Think I may have to get one this weekend. Yum! I love their Boston Creme donuts with a cup of coffee, yummy! Their Boston creme donuts rock my world! I like the chocolate covered donuts with sprinkles. I love their cream filled donuts with chocolate icing. their french vanilla ice coffee! I love their jelly filled donuts! My favorite Dunkin' Donuts donut is the French Cruller. Extra Large Coffee, cream, no sugar with a toasted everything bagel! Yum! I love their seasonal pumpkin coffee! My favorite is a toasted everything bagel with cream cheese. I love their everything bagels. I like blueberry cake donuts. Thanks so much for the fantastic giveaway! This may sound a bit plain, but I LOVE their glazed doughnuts!!! Apple cheese danish is good! thanks! I love their French Crullers. Coffee and chocolate cake donuts (or munchkins). We love the jelly filled doughnuts. I like the Pumpkin Spice. I love sweet things!!! but my favourite ones? the filled with jelly dognuts!!! I've always liked Dunkin Donuts coffee w/a bit of sugar and cream. I've actually never been to Dunkin' Donuts... but I'd get coffee! I like their glazed chocolate crullers! plain bagel with light cream cheese! I like the Chocolate donuts and some plain black coffee. Yum! I love the Gingerbread lattes. A large iced coffee. I could drink it by the gallon! I always try to get Iced Coffee during happy hour! I love the iced coffees! I like their iced coffee! Right now I'm loving the apple spice donuts! I love their chocolate frosted donuts! I love the bagel twists and the Chillata! Favorite is chocolate iced yeast donut. Donut Holes and Boston Creme Donuts! Donuts. All day erryday. Strawberry frosted, yo. just coffee i have a gluten and lactose intolerance. I like the "Old Fashioned" donuts the best!!! Donut holes. You know I've never tried their coffee? I love the Bavarian cream! I love me some Boston Cream Donuts and the munchkins!! Boston Creme donut and black coffee. I like their creme filled donuts! thank you! I do love their little hash browns. I love the chocolate iced donuts! My favorite is the Chocolate Cake Donut. I like their Bavarian Cream Donuts. I love to get hot cocoa from there! I love the apple fritters! I love the French Vanilla coffee. My favorite is pumpkin latte. DeCaf French Vanilla with skim milk and a flat bread sandwich with turkey sausage! I like the hot chocolate. I love their iced coffees! pumpkin donuts! Thanks for the chance to win! I love Dunkin Donuts French Vanilla Coffee. I like their Vanilla Chai Tea Latte. I love their Vanilla Pumpkin Latte. I love the chocolate frosted donuts and a medium coffee. Their blueberry donut is my favorite. I also get one fo those and large coffee extra cream regular sugar...yum! Cream filled donuts are the best!!! Munchkins have always been my favorite! I like the apple fritters and hot coffee. I love the double chocolate glazed donuts. Bavarian Cream is definitely my fave! I love their boston creme donuts, yum yum! any kind of donut with maple glaze!! I have not had them in a long time. I loved their iced coffees. I like to have a few of their glazed donuts! I love the hot apple cider at Dunkin' Donuts, though now the Pumpkin Mocha is more and more tempting. Wordless Wednesday: My First Pepper!